Sacos Rewards 6th Winner of our Motor Full Comprehensive Promotion for 2018! Sacos Rewards 4th Winner of our Motor Full Comprehensive Promotion! Sacos rewards new Junior and Education Plan Promotion winners! Sacos Rewards 3rd Winner of our Motor Private Comprehensive Promotion! Sacos celebrate its 38th Anniversary with a special mass! Happy retirement Mr Selwyn Medor! Two members of our CRM team, Tania Padayachy and Sabrina Domingue, attended a 2-day seminar on International Sales and Business at the Guy Morel Institute in collaboration with Vimentis Seychelles on 15th & 16th February. The seminar focused on transforming participants into confidant entrepreneurs and sales people, and devising ways for optimizing sales performances. 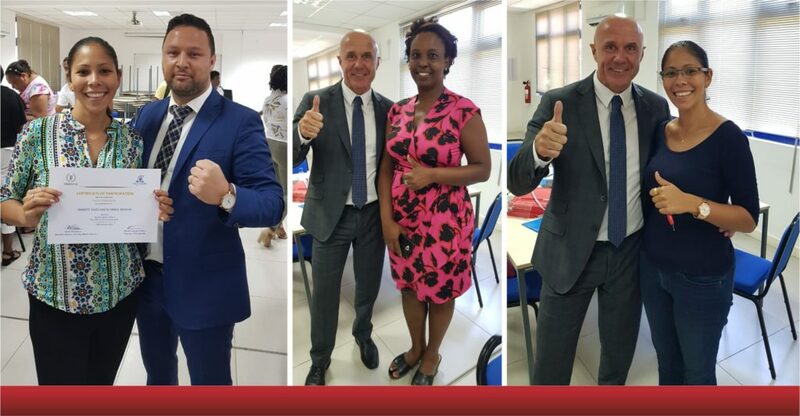 The seminar was conducted by a number of successful international entrepreneurs who undoubtedly added significant values to the participant learnings. Tania and Sabrina acknowledge the learning benefits of that seminar and recommend similar exposure for other team members with the possibility of further learnings. They are looking forward to share the professional gains with their team members and incorporate them into their practices.